Hello everyone, and welcome to The Good News Journal’s Thoughtful Thursday Thing King Edition. Today, and every Thursday, I Will be tall King about recent articles from the main stream media and offering an alternative perspective. This article was published in the Ottawa Citizen on January 25th. The first paragraph of the article suggests that most Canadians are only three paycheques away from losing their homes. That’s a pretty harsh reality check, and the photo gives a Good example of what kind of conditions One might be subject to if they lost their home in the midst of a Canadian winter. The weather doesn’t look very inviting, does it? 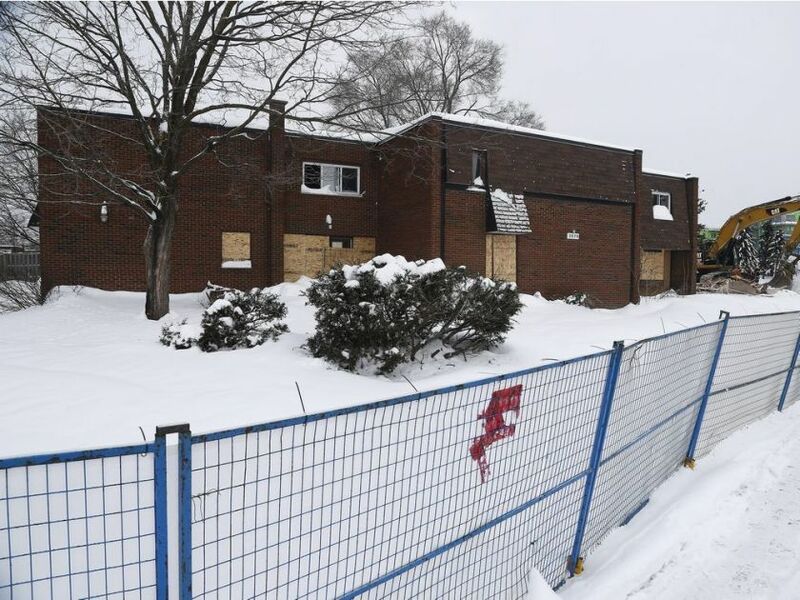 According to the Citizen, more than 350 families were ‘forced’ into shelters as a result of poverty in 2018 – and We know how deplorable the shelter conditions are, and how little concern or regard operators of city shelters have for improving those conditions. Unsuitable and unstable accommodation isn’t the worst of the problem either, in many cases clients subject to shelters are treated with indignity and contempt. We’ve all heard the expression, ‘read between the lines’, and one of the most valuable lessons I learnt studying Law, is that there is often more information to be found by what is omitted than what is volunteered. The Writer wants the reader to pay attention to the Words that are Writ, distracting from what is not being said. The city volunteers they Will pay as much as $3,300.00 per month for a family subject to homelessness to stay in a hotel, and that finding more permanent housing can take as long as eight months. What they don’t reveal to the reader in this article, is how much those subject to social services are given to find suitable accommodation themselves! For an individual, the allowance is only $374.00 month; making the Quest for suitable housing virtually impossible – it simply does not exist at that price! So why can the city afford to Give a hotel $3300.00 to shelter a family, but claim they can’t afford reasonable allowance for the same family to find suitable shelter themselves? It doesn’t really make sense, does it? I just did a search on Kijiji for four bedroom houses in the city of Ottawa and the first page brought up 20 of more than 200 homes available for considerably less than the $3,300 the city is currently spending to put these families up in hotels ($1800 – $2000/month). If the city started allowing families to rent dignified homes that already exist, even if they were required to sign a one year lease, the cost to the taxpayer for a $2000/month four bedroom house rental would be $24,000/year, compared to the $26,400 the city is spending over 8 months by placing families in hotels – and I guarantee the conditions are going to be considerably better! The city could pay the rent directly to the landlords, and the extra money would stimulate the housing market and the local economy. It’s a no brainer! Maybe I took the Words right out of his mouth! Anyone can Google prices for dignified, stable, suitable housing for a family in the city of Ottawa, and it doesn’t take much to figure out that this plan would be cost effective without having to burden the taxpayers with an additional ‘levy’. Politicians deliberately promote these asinine Ideas, praying on the compassion of the People who want to see their fellow man treated with dignity and respect just so they can take more and give less. The only ones that would benefit from Fleury’s proposed plan would be developers who would build more unstable, unsuitable housing units of which there are already plenty (just ask for a tour of an Ottawa Community Housing unit sometime). The other thing they don’t mention in the article, is who would be hardest hit by the proposed tax levy. Of course, it’s ‘just’ less than the price of a coffee per day. Not an issue for a politician, but most definitely an issue for families trying to keep it together and avoid homelessness. For most low income families struggling to make ends meet, a coffee a day is probably the very last luxury they can afford. Fleury wants to seem as though he’s appealing to the compassion of the People by identifying a critical problem and proposing a solid solution when in reality, he’s really just compounding a problem by making those families three paycheques away from homelessness that much closer to being there. But of course, that’s probably the underlying agenda, because then he can appeal to the taxpayers four years later, as King for more money to build more homes that Will only benefit big business developers who want to secure new construction plans in a city that doesn’t actually need more homes, it just needs to provide the funding necessary to get People into the homes and apartments that already exist. Occupying the homes and apartments that already exist in the city of Ottawa should be city councillors first priority, and providing a basic income to accommodate this need (pun intended), would save taxpayers money and stimulate the local economy. Unfortunately, when it comes to politicians, Common Cents isn’t so Common. I hope You’ve enjoyed My first Thoughtful Thursday Thing King Edition, let Me know if there are any specific issues You’d like Me to address in future Editions.